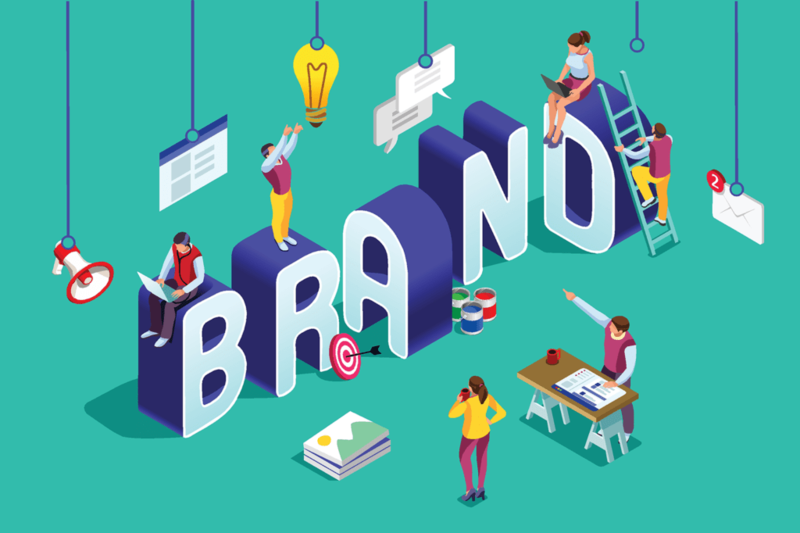 Whether you’re opening a bakery, starting a career as a Twitch streamer, or launching an e-commerce store, branding is crucial. Coming up with a name that’s unique, memorable, and suitable for your business is one of the most important steps you’ll take. The good news is that you always have a lot of options for compelling brand names. All it takes to find the right match is a little brainstorming and an open mind. Once you have the perfect brand name in place, marketing your business should become a lot easier. In this article, we’ll help you get started by discussing what you’ll need to consider when deciding on a brand name. Then we’ll show you some tools that can help you out. Let’s get to work! Often, people pick names for their websites almost at random. This is a mistake, however, as the name you use will become the symbol for your brand. There’s a difference, for example, between shopping at “Joe’s Tackle Store” and “The Fish Emporium”. One sounds like a small-town shop, whereas the other wouldn’t look out of place as the header of an online storefront. The point is that your website’s name needs to be memorable. If it isn’t something people can use to identify your brand, that can negatively impact your business’ performance and growth potential. There are plenty of examples of dominant businesses using names that seem almost random, such as Google. This is a perfect example of a short and simple name that’s nonetheless very unique. Other popular brands, such as Apple or Facebook, employ a similar strategy (albeit using more familiar terms). Of course, those brands have a lot more going for them than just a memorable name. Still, choosing a strong brand name is a simple way to increase your own business’ chance for success significantly. Plus, the right brand name can make your links look more appealing, which can lead more people to click on them. Easy to remember. This usually has to do with the length of the name and the words you decide to use. Shorter names are typically more memorable, which means it’s best to settle on a one- or two-word option. Easy to type. Along with being easy to remember, it shouldn’t be a chore to type your brand name into a browser. If people can’t remember how to spell the name, they’ll have more trouble finding your site. Unique. Copying the competition can be tempting. Your name needs to be unique, however, or you risk people confusing you with other businesses. Relevant to the right niche. In most cases, it’s smart to choose a brand name that gives people an idea of what your business does. Out of those options, the first and second aren’t very strong. They’re not particularly memorable or unique, and they rely on the titular Joe having enough of a following to carry the brand. Options three and four are a bit better, however. They’re more creative but still easy to remember, and they give you an idea of what to expect from the site. While these aren’t the most unique brand names you could come up with, they satisfy all the necessary criteria. Even once you know what to look for, however, coming up with lots of brand name ideas to try out can be a challenge. With that in mind, let’s introduce a couple of tools that can help you during the brainstorming process. The tools we’re going to discuss in this section can help you come up with a broad range of brand name selections. Not all the options they show you will be fully relevant, of course, which means you’ll still need to be picky (and keep the above considerations in mind). Still, these generators are a perfect way to get started. As you can see, Shopify adheres to our two-word-max brand name recommendation. The combinations may seem a bit random, but that’s deliberate. The main purpose a tool like this is to help you get the creative juices flowing. While you may not use any of these exact suggestions, chances are one or more of the combinations will give you some great ideas. Naturally, you can’t just lift the logo ideas you see here. However, if you’re more visually inclined, seeing brand name ideas alongside logo suggestions can be a much better way to come up with the perfect fit for your site. There are a lot of iconic brand names in the world of business. Words like Google, Facebook, and Apple don’t mean much on their own, but they’re unique and memorable names, which helps all three giants stand out. When it comes to choosing a brand name for your own business, we recommend that you consider multiple options. 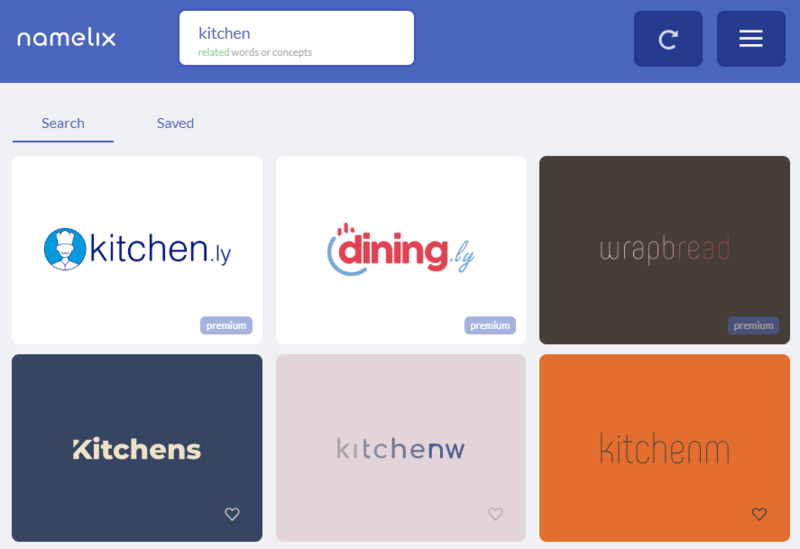 To start the brainstorming process, you can use tools like Shopify’s Business Name Generator and Namelix. Just remember that whatever name you settle on should be short, unique, and memorable. Do you have any questions about how to come up with a strong brand name? Let’s talk in the comments section below! Do Link Shorteners Still Have a Viable Use in Modern Web Design and Marketing?